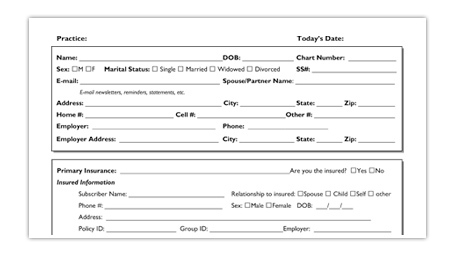 Save time at your visit by filling out your paperwork before you arrive! Click on the document below to download the PDF file to your computer. You may print this document out and bring it with you to our office.